The innovative idea of making the unconscious mind conscious about restoring choices and healing was the conceptual foundation for regression therapy. 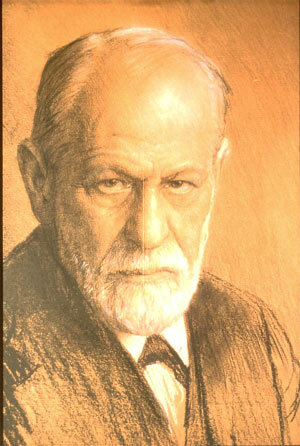 The idea came from Freud and his theory was that early childhood experience determined later behaviour. He believed that memories of early childhood could be recovered hypnotically and used for therapy. However this concept did not gain acceptance until the late 60's and early 70's. A p rocess of moving backwards chronologically to tap early childhood memories was developed by hypnotherapists. Soon it was realised by the therapists themselves that they could regress patients not only back to early childhood but also to uncover memories of birth and pre-natal experience. Hence it was concluded that an element capable of functioning and recording events existed in human beings, even in the absence of a physical body. Denys Kelsey, a British psychiatrist worked with Joan Grant and published their exploratory work on past lives in a book, Many Lifetimes, in 1967. In 1978, four further books on past life regression were published: Reliving Past Lives by Helen Wambach; You have been Here Before by Edith Fiore, Past Lives Therapy by Morris Netherton, and Voices from Other Lives by Thorwald Dethlefsen. These four books had one thing in common in that they concerned themselves with symptoms and do not stress spiritual implications. Over the next decade, a paradigm shift occurred among past-life therapists and caused a growing impulse to explore the nature of existence and the meaning of life. With this paradigm shift, the Association for Past-Life Research was born. This association gradually developed training workshops and established criteria of who should practice regression therapy. With the development of research, Woolger contributed far-reaching theoretical concepts that helped us to understand past lives and provided a structure for effective therapeutic techniques. The Journal of Regression Therapy was developed in 1986. The Psychology Dept of Colorado State University proposed a research project in 1987 on the association of post-traumatic stress disorder in Vietnam veterans with past-life therapy. In the meanwhile the focus of regression therapy was shifting. Through the 70's the objective was the remission of symptoms. This focus shifted towards the concept of the soul's journey through the 80's. It is becoming clear that where regression therapy supersedes other therapies in terms of effectiveness, it is in the more profound perspective on the meaning of life. The intense concern about whether or not past lives exist is finally winding down. Today, it is widely held that "Reincarnation is not a belief; it is a philosophy of life." (Dethlefsen).